City of Markham-Probationary Firefighter | Ontario Fire Administration Inc.
You must have valid certificates for Stages One, Two, Three and a swim test to apply to the City of Markham. As each seating fills, we will add additional seats. For example, we are currently booking tests at 1:00PM. When these time slots are full, we will add additional seats. We are unable to schedule appointment times. It is first come, first served. The posting closes February 15, 2019. Questions regarding the City of Markham's recruitment process should be directed to Markham. Markham Fire and Emergency Services is a community organization currently operating 11 front run apparatus from nine fire stations. The organization employs about 280 women and men who work in the divisions of Fire Prevention/Public Education, Communications, Training, Mechanical, Suppression and Administration. We are currently accepting applications for the Probationary Firefighter position. Please apply on-line at www.markham.ca/jobs under Current Opportunities. Kindly submit your resume, cover letter, certifications, licenses and other relevant documentation by February 15th, 2019. Please note that only applications received online prior to the closing date will be considered. Important Note: Refer to the documentation checklist to ensure all mandatory documents are uploaded in the application process. Failure to do so will result in the disqualification of your application. 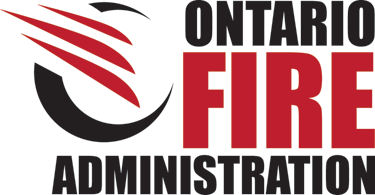 Possess valid Ontario Fire Administration Inc. (OFAI) Candidate Testing Service certificates for Stage One, Two and Three and Swim Test. Certificates must be valid throughout the duration of the entire recruitment process. Please visit www.ofai.ca for more information. Be 18 years of age or older and legally entitled to work in Canada. NFPA Firefighter Certification (NFPA 1001 including Fire Fighter I & II) from a recognized post-secondary institution. Be able to work a shift schedule, including days, nights, weekends and holidays. Be able to understand and communicate clearly in English, both oral and written. Possess a valid Class “DZ” Ontario Driver’s License with a satisfactory driver’s abstract dated no more than three months prior to the application date which must be maintained throughout the recruitment process. The driver’s abstract should reflect no demerit points and no more than two infractions (maximum of one moving and one non-moving conviction). Have a minimum of an Ontario Secondary School Diploma (Grade 12) or academic equivalent. Be able to physically and mentally perform the duties of a firefighter, having regard for one’s own safety and the safety of members of the public. Have prescribed 20/30 uncorrected vision in each eye without corrective lenses and with normal colour vision. Have prescribed normal unaided hearing. Have Standard First Aid and CPR level HCP (Health Care Providers) valid for six months after start date of employment. Be criminal record free unless a pardon has been granted under the Criminal Records Act (Canada) with Vulnerable Sector Screening, and has not been revoked. Have a current immunization record for Mumps, Measles, Rubella, Polio, Diptheria, Hepatitis B and Tetanus. Previous experience in Fire suppression, construction, trades, mechanical, emergency services (e.g. Paramedic), Military/Coast Guard, fire prevention, large vehicle operation, and/or operating heavy equipment. Community College diploma in Fire Protection Engineering Technician/Technology Program. The City of Markham is committed to providing accommodations for people with disabilities. If you require an accommodation, we will work with you to meet your needs. We thank al those applicants who have applied however only those applications selected for an interview will be contacted. Applicants MUST submit all required documents as listed below. If an applicant does not submit all the required documents with the application or the documents does not meet our requirements, your application will not be considered any further. Note: We recommend PDF format for the submission of documents. There is a maximum of 10 files allowed (max size limit per file is 10 MB). ☐ Any other relevant certifications, licenses etc.